Is your ex-spouse hiding a relationship and making sure you pay for it? Call the professionals and we will get you the right evidence what is need in a Florida court to illustrate that your ex-spouse is in a co-habitative relationship and is no longer eligible to receive alimony. Don’t hire a non-professional as much planning and strategy is needed to prove a relationship when you ex spouse is in no way going to admit and will hide it so that you will continue to pay them as a means of revenge and or punishment. Empower yourself and call us today for a consultation free of charge. We may be able to help you today why wait any longer. The following are guideline and laws pertaining to the above. A Florida court may award alimony to one spouse during a divorce. 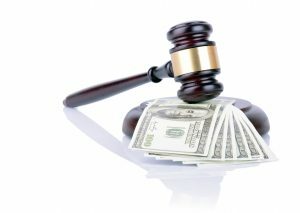 The guidelines for setting the alimony amount are compiled in Florida statute 61.08. Alimony may be temporary or permanent depending upon the spouse’s circumstances. The law sets forth the duration of alimony, when it can be modified and when it will terminate. Are you still paying when you shouldn’t? Generally, an alimony order terminates on the date set by the court. However, an order will terminate sooner if either spouse dies or if the spouse receiving alimony remarries. Additionally, in 2005 a Florida court held that an owing spouse could petition for termination of alimony if the requesting spouse is in a “cohabitative and supporting relationship.” In that case, the requesting spouse was in a relationship, but the couple never married so they could continue to benefit in the $5,000 monthly alimony payments. The court determined that an owing spouse would no longer be required to pay alimony if the requesting spouse is living with another person (regardless of gender) and the two share assets and income, even when the relationship is a non-sexual, platonic friendship. Our years of experience has seen many people go to great lengths to keep a relationship secret and often do many things to ensure that alimony payment keep coming. Call our office today and speak to one of our professionals for a free consultation as we are here to ensure your peace of mind. Every co-habitation case should be discussed with the original order at hand at the onset of alimony awarded to your former spouse.